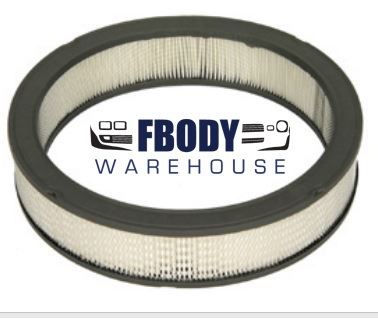 High pleat count performance filter manufactured exclusively by an OE supplier for all open element, cowl induction and ram air systems or any 14" aftermarket application. Exceeds replacement aftermarket and Delco in construction, flow quality and mesh appearance. 1967 1968 1969 1970 1971 1972 1973 1974 Camaro Models. 1967 1968 1969 1970 1971 1972 1973 1974 Firebird / Trans Am Models. USE THE DROP DOWN MENU BELOW TO PICK YOUR SHIPPING LOCATION.